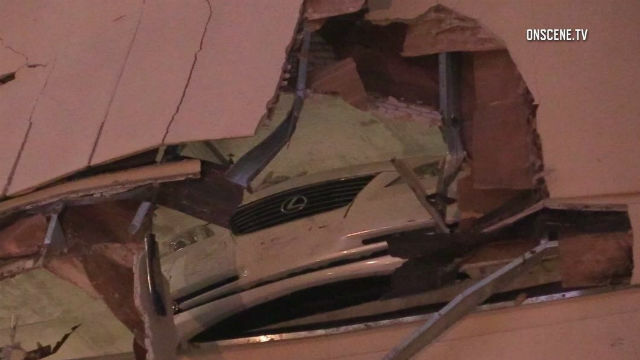 A woman whose foot was stuck under the brake pedal of her car ended up driving through the wall of a condominium parking structure downtown. The accident occurred at 6:05 p.m. Friday at the Harbor Club Condominiums at 3rd Avenue and J Street in the Gaslamp District.. There were no injuries, but the Lexus was left partially hanging out of the parking structure on the 4th level. The car was later towed away while a structural engineer was called to assess the damage.